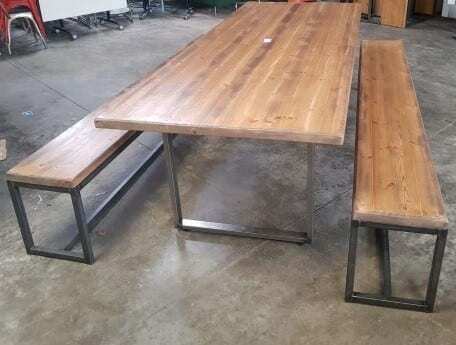 These café table and bench sets are great for spacious indoor dining rooms or café areas. 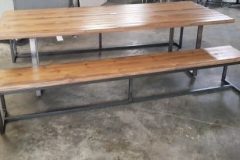 These sets feature a sturdy table and two benches for seating. 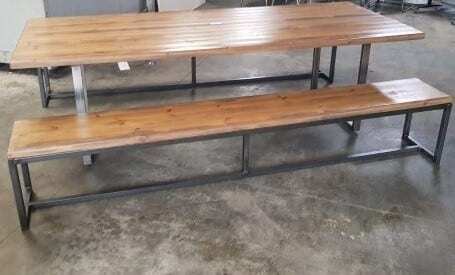 The rustic design makes it also perfect to use as outdoor seating, whilst the benches have ample space to seat many. We have 4 tables and 8 benches available. If you would like further information about these products, you can get in touch with our sales team by calling 07944 508282 or you can scroll to the bottom of the page and click on our Telephone Icon. Otherwise, please enter your details into our Request a Quote Online Form and one of our sales team will be in touch with you shortly. However if you are looking for other second hand tables or second hand chairs, we have an extensive range currently available. Just click on the links provided and browse! 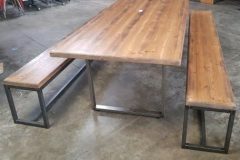 As always, you can view these tables and benches in our showroom along with all our other used office furniture.